In the weeks following the shootings at a gay nightclub in Orlando that killed 49 people, the nation has rallied to help families of the victims cope with loss and push for an end to hatred. 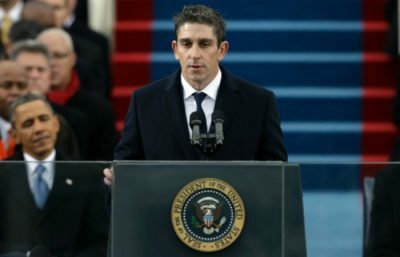 FIU creative writing alumnus Richard Blanco ’91, MFA ’97, best known for delivering his poem “One Today” at President Barack Obama’s second inauguration, penned an emotional response to the devastation titled “One Pulse—One Poem” for the Miami Herald. Watch Blanco perform “One Pulse—One Poem” at miamiherald.com.